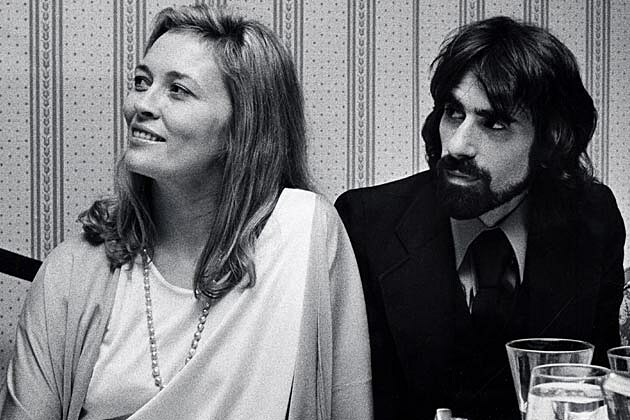 Before Billy Joel and Christie Brinkley, before Eddie Van Halen and Valerie Bertinelli, before Bruce Springsteen and Julianne Phillips, J. Geils Band singer Peter Wolf made worlds collide (and gossip columnists’ heads spin) when he married critically acclaimed Hollywood star Faye Dunaway. The glamorous Dunaway, already Oscar-nominated for her work in 1967’s Bonnie and Clyde — and soon to pick up her second nomination, for 1974’s Chinatown — may have seemed like an unlikely match for Wolf, a harmonica-toting blues belter whose sweaty antics as the J. Geils Band’s one-of-a-kind frontman had helped the group earn an ardent live following even as their record sales struggled. But whether or not anyone in the press thought their relationship made sense, it worked for the newlyweds. For a while, anyway. Of course, given the demands of their divergent careers, time for standing side by side came at a premium. While Dunaway’s acting career continued to take off, Wolf was in the middle of an exhausting run with the J. Geils Band, who’d release 10 albums in the eight-year span between 1970-’78 while honing their renowned live show with a grueling touring schedule. They dated for two years before tying the knot on August 7, 1974, but the wedding happened in a blur. The couple reportedly tied the knot just one day after getting engaged. For a while, the effort of juggling their professional obligations wasn’t too much of a strain. In her autobiography, Dunaway writes of feeling “a sense of the infinite promise of life” during the early days of their marriage, and although the J. Geils Band’s annual album releases seemed stuck in the mid-to-lower reaches of the Top 40, their profile certainly wasn’t hurt by Wolf’s association with Dunaway, who won her first Best Actress Oscar for 1976’s Network. Eventually, however, the strain started to show: as Dunaway wrote in her book, “time, life, and the world kept wearing away at our relationship.” They separated in 1978, and their divorce was finalized in 1979 — the year before the J. Geils Band scored its highest chart showing in nearly a decade with the (allegedly) coincidentally titled Love Stinks. The band finally notched a No. 1 record the following year with Freeze Frame, but by 1983, Wolf had to face the reality of another severed union, as he parted ways with his bandmates to pursue a solo career. Painful as those splits had to have been, they weren’t entirely irrevocable. Wolf and Dunaway have remained on friendly terms over the years, and after more than 15 years apart, the J. Geils Band came together for the first of an ongoing, sporadic series of reunion gigs in 1999 (although the group has more recently found itself in court with its exiled guitarist/namesake). During a 2010 interview with No Depression, Wolf stressed equanimity with all of his famous former partners.